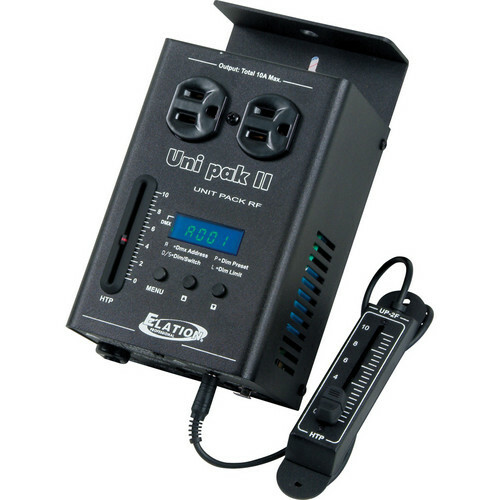 The American DJ Uni Pak II is a single channel dimmer and on/off switching pack. The Uni Pak II features 3-prong Edison plugs, an XLR out to a DMX controller and an external HTP (Highest Takes Precedence) slider. The pack also features an LED display for easy DMX channel programming. Box Dimensions (LxWxH) 10.0 x 6.7 x 4.5"
Uni Pak II 1-Channel Dimmer Pack / Switch is rated 5.0 out of 5 by 1.